It’s razor thin, feather light, and even faster and more powerful than before. It has the brightest, most colorful Mac notebook display ever. 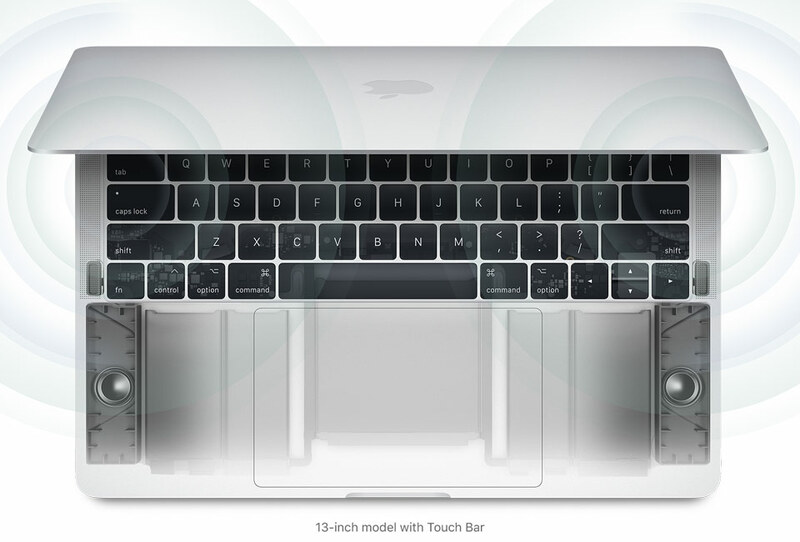 And it features the Touch Bar—a Multi-Touch enabled strip of glass built into the keyboard for instant access to the tools you want, right when you want them.¹ MacBook Pro is built on groundbreaking ideas. And it’s ready for yours. The Touch Bar replaces the function keys that have long occupied the top of your keyboard with something much more versatile and capable.¹ It changes automatically based on what you’re doing to show you relevant tools you already know how to use—system controls like volume and brightness, interactive ways to adjust or browse through content, intelligent typing features like emoji and predictive text, and more. And now Touch ID is available on a Mac, enabling instant access to logins and so much more. 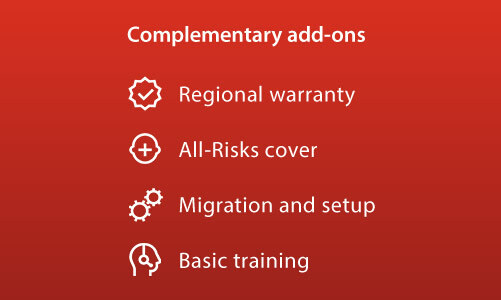 Expand, contract and customize system controls to reveal volume, brightness and more. Answer your iPhone from the keyboard without moving your cursor. Select a palette and tap to choose a color for text or objetcs in Pages, Keynote, and more. Now you can unlock your Mac in an instant. Quickly access system settings and locked notes. And even switch between users—all with the touch of a finger. The Touch Bar can change how you experience the apps you use every day—like Photoshop, Microsoft Office, DaVinci Resolve, Logic Pro X, and others. Key tools and features appear right on the Touch Bar, so they’re easier to discover and use. It’s a dynamic canvas that can add a new dimension of interactivity to current and future apps. 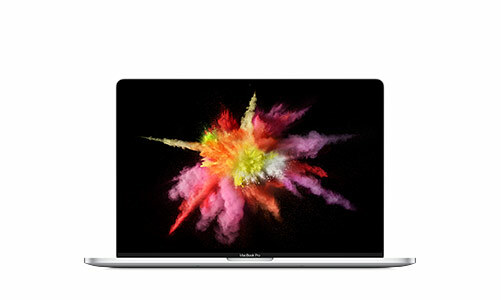 MacBook Pro elevates the notebook to a whole new level of performance and portability. Wherever your ideas take you, you’ll get there faster than ever with cutting-edge graphics, high-performance processors, whip-smart storage, and more. The display in the MacBook Pro is the best ever in a Mac notebook. It features bright LED backlighting and a high contrast ratio, delivering deep blacks and bright whites. Its large pixel aperture and variable refresh rate make it power efficient. And it supports wide color for even more vibrant greens and reds than with sRGB. This makes for more true-to-life pictures with realistically vivid details—essential for graphic design, color grading, and editing. Enjoy beautifully balanced, high-fidelity sound that takes listening to new levels with wide dynamic range and more bass for maximum boom. The speakers are connected directly to system power, enabling greater peak amplification. So they make MacBook Pro the perfect choice for mixing a track on the fly, editing video on location, or enjoying a movie on the go. Thunderbolt 3 combines ultra-high bandwidth with the ultra-versatility of the USB-C industry standard to create one revved-up universal port. It integrates data transfer, charging, and video output in a single connector, delivering up to 40Gb/s of throughput for twice the bandwidth of Thunderbolt 2. Both sizes of MacBook Pro are available with four ports, so you can do all that from either side. Existing devices are easily connected with a cable or adapter. 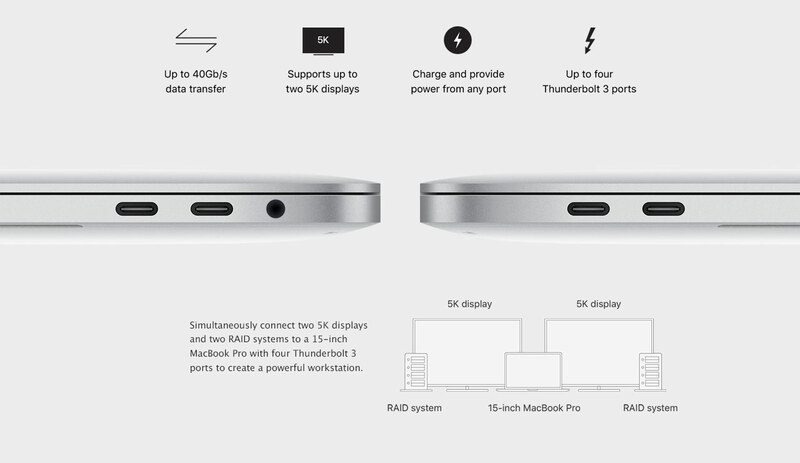 And Thunderbolt 3 is reversible, so no matter how you plug in, it’s always right side up. It's why there's nothing quite like Mac. macOS is the operating system that powers everything you do on a Mac. macOS Sierra introduces more ways to enjoy your photos and work more seamlessly between devices. 1. Touch Bar is available on select models. 2. 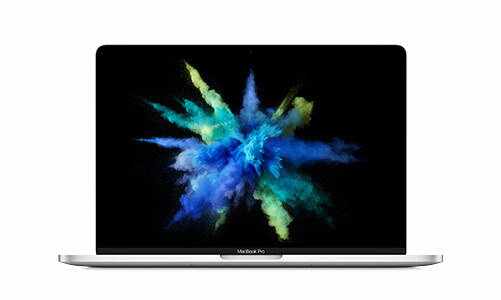 Testing conducted by Apple in May 2017 using preproduction 2.8GHz quad-core Intel Core i7-based 15-inch MacBook Pro systems with a 256GB SSD and 16GB of RAM; preproduction 3.1GHz dual-core Intel Core i5-based 13-inch MacBook Pro systems with a 512GB SSD and 8GB of RAM; and preproduction 2.3GHz dual-core Intel Core i5-based 13-inch MacBook Pro systems with a 1TB SSD and 8GB of RAM. The wireless web test measures battery life by wirelessly browsing 25 popular websites with display brightness set to 12 clicks from bottom or 75%. The iTunes movie playback test measures battery life by playing back HD 1080p content with display brightness set to 12 clicks from bottom or 75%. The standby test measures battery life by allowing a system, connected to a wireless network and signed in to an iCloud account, to enter standby mode with Safari and Mail applications launched and all system settings left at default. Battery life varies by use and configuration. See www.apple.com/batteries for more information. 3. Testing conducted by Apple in May 2017 using preproduction 3.1GHz quad-core Intel Core i7-based 15-inch MacBook Pro systems with a 2TB SSD and 16GB of RAM; preproduction 3.5GHz dual-core Intel Core i7-based 13-inch MacBook Pro systems with a 512GB SSD and 16GB of RAM; and preproduction 2.5GHz dual-core Intel Core i7-based 13-inch MacBook Pro systems with a 512GB SSD and 16GB of RAM. Tested with FIO-2.19, 1024KB request size, 150GB test file and IO depth=8. 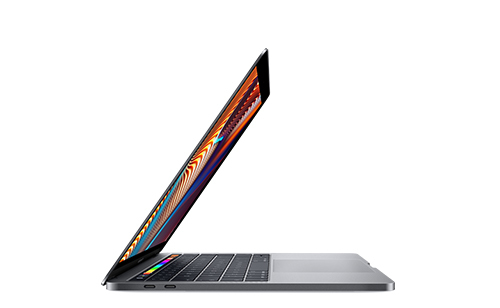 MacBook Pro continuously monitors system thermal and power conditions, and may adjust performance as needed to maintain optimal system operation. 4. Compared with the previous generation. 5.	iCloud requires an iCloud-enabled device. Some features require iOS 10 and macOS Sierra. Some features require a Wi-Fi connection. Some features are not available in all countries or regions. Access to some services is limited to 10 devices.